Château Ksara is Lebanon’s oldest, largest, and most visited winery. It was here, in 1857, that Jesuit brothers laid the foundations for the country’s modern winemaking industry by producing Lebanon’s first non-sweet red wine. Over the last decade, Château Ksara has seen the introduction of new grape varieties as well as developments in technique and the application of advanced science by French oenologists. The grapes are first fermented, then the first distillation releases the alcohol from wine in Ksara’s unique and most modern distillation column which eliminates the methanol and all heavy and unhealthy oils that spoil the taste. Ksarak only uses aniseed from the reputed Mount Hermon’s Al Heeneh area. The delicate scent of the prime aniseed is appealing to the true connoisseur. This pure grape alcohol is redistilled in a specially designed alembic in France with the aniseed. 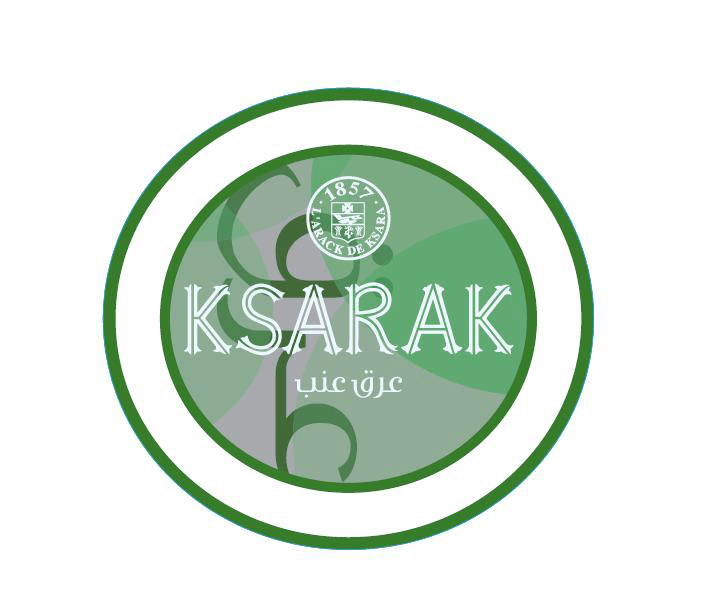 Ksarak’s innovative technique discloses the heart of the arak through an independent pipe to obtain the real “pure flower”. Finally, this spirit is refined to release the purest and healthiest arak. Ksarak is finally matured for two years in clay jars manufactured in Beit Chebab following ancestral norms. It will go perfectly with Lebanese mezze and Oriental dishes. Could be drunk pure or with water and ice.